Professor Richter (Keith Pyott) records his observations of the white dwarf, Riesel Alpha, and calculates it's moved 3° in the past six months. Just then, some grabs him from behind and his hand, flailing about, stops the tape. Steed has been on the 'phone since dawn, much to Sheba's disgust, but is still in his dressing gown when Cathy arrives on his summons. He hands her a coffee and the morning papers and she sees the army's been mobilised and he asks her if she knows what a white dwarf is. Cathy explains it to him and says Richter has a theory that our solar system was caused by a binary star exploding, and the white dwarf will one day re-enter the solar system. She's shocked when Steed tells her Richter was murdered last night, all his notes stolen and the recording destroyed. Richter had approached the Ministry of Science six months ago, expecting the white dwarf to reenter the solar system in fifteen months from then and had been making a crucial six month observation, which would confirm or deny his calculations, the night before. Cathy exclaims that the white dwarf would head for the sun, taking all the planets with it and Steed explains the army has been mobilised to maintain law and order, should the news cause widespread panic. He asks Cathy to go to Tor Point Observatory in Cornwall and when she acerbically asks what he'll be doing while she's away he flippantly says, "What do you think? Having a good time while there's still time to have it." The Minister of Science (Daniel Thorndike) is greeted in his office by Henry Barker (Peter Copley) who tells him another observation can't be made for four days, and he'd advised Professor Cartright at the observatory not to inform the local police. The ministers tells him to ring Cartright and he tells him to report the observation by 1am Thursday. Cartright (Philip Latham) is furious and wants to inform the police but understands he has no choice, and Barker tells him Richter has been listed as 'being on indefinite leave'. His assistants, Elizabeth Fuller (Vivienne Drummond) and Rahim (Paul Anil) hear the call on the speaker. Dr Fuller suggest asking Mount Glomond Observatory in California to make an observation but Cartright is worried about the story leaking and rejects the idea, despite Rahim saying people have a right to know. Elizabeth offers to tell Richter's son what's happened. Luke (George Roubicek) is angered to learn it's being hushed up and wants to go to the police or find the killer himself. Maxwell Barker (George A. Cooper) meanwhile is in the office of the American broker, Johnson (Bill Nagy), who is furiously selling stocks on the phone. He hangs up and announces their cash reserve is £7,500,000, but could make it £30-40,000,000 if Barker would let more people in on the tip-off. Barker refuses, saying the risk is too great, and tells him when you're two of the richest men in the world is the time to do favours, and even then it's a sign of moral weakness. Henry arrives as Johnson is leaving and naïvely observes they couldn't be more different, and observes that all Max's wheeling and dealing will be for naught if Richter were right. Max asks him why there was no announcement and is told there won't be an announcement before Thursday morning, but he finds it hard to believe Richter was wrong. Cathy arrives at a guest house in Tor Point and meets the proprietor, Miss Tregarth (Constance Chapman), who introduces her to Dr Fuller. Fuller explains the spartan existence at the vegetarian guest house and enquires as to her background. Cathy claims she was working in India for the last few years, but reveals a knowledge of the research done by the Tor Point staff, including Fuller. Cathy asks what Richter is working on just as Luke arrives, and he grumpily feeds her the official 'indefinite leave' line. Fuller introduces Cathy and she's somewhat shaken to learn that Dr Rahim from Bombay is at the Observatory. Rahim meanwhile approaches Cartright, hoping to see if he can detect the dwarf's gravitational pull on a comet - Alpha Richter - near it; Cartright reluctantly agrees saying the chances of calculating correctly are slim. Rahim has ascended to the telescope and settled in by the time Cathy arrives with Fuller and Luke and she's introduced to Cartright. Fuller notices Rahim's name on the roster and Cartright explains he had an idea about Alpha Richter. 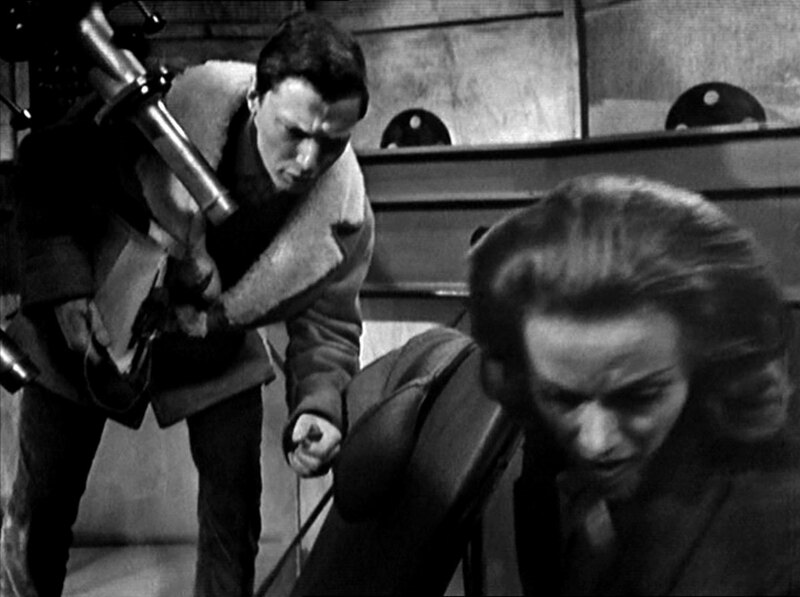 Luke leads her up to see the telescope and they discover Rahim has been murdered. Barker's butler (John Falconer) lets Johnson in and Max tells him that Rahim has been murdered. Johnson is worried the police will become involved and Max explains the government's cautious response - and wonders if Cathy's arrival isn't just coincidence. Johnson suggests they fix an 'independent observation' to force the government's hand and he makes a call to Larson, an American astronomer over whom he has a hold. Cathy meanwhile has returned to London and tells Steed Rahim was trying to learn more about the dwarf, and Richter's staff are all very loyal. Steed counters he was an old man and the only reason he would have been killed is if he were actually wrong. Steed theorises there would be only two motives for benefiting from expected world devastation - a political one, where the organised country could easily conquer the panicking ones. Cathy disputes this, saying that country's army might panic also, so he proposes a second solution, based in the stockmarket. Cathy says prices drop at the threat of war, except armaments and Steed suggests the biggest killing in history could be made in the few days before other observatories could contradict the British government's announcement, and Richter was killed to stop him contradicting his original theory. Steed's collected a list of brokers who have done a lot of selling lately, to raise the cash reserves necessary, and Cathy spots the name "Maxwell Barker" and she wonders if he's related to the Henry Barker mentioned in her Ministerial letter of introduction. Henry meanwhile is trying to placate an angry Cartright, who's demanding police intervention. The minister enters and agrees, but not until after they've determined the status of the white dwarf. He proposes sending Barker to Cornwall after Cartright returns. The intercom announces Steed's arrival and the minister leaves him to his work, offering Cartright the use of his chauffeur. 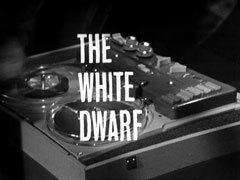 Steed introduces himself as a stockbroker and baldly asks Barker if there's any chance of them all being wiped out by the white dwarf, greatly shocking the bureaucrat. Henry arrives at Max's apartment as Johnson finishes pressuring his tame scientist and, after Johnson retires to the study, confronts his brother with leaking the story. Max denies it, but he - and the eavesdropping Johnson - are disturbed to hear that Steed named Max, gave a list of the stock he'd liquidated, and suggested he was trying to swindle the market by starting the white dwarf rumour. Max suggests all manner of other avenues for a leak, but Henry firmly says he'll offer the minister his resignation in the morning, and he'll never trust his brother again. Johnson emerges and sinisterly suggests there's only one way to stop Henry's morning appointment with the minister. 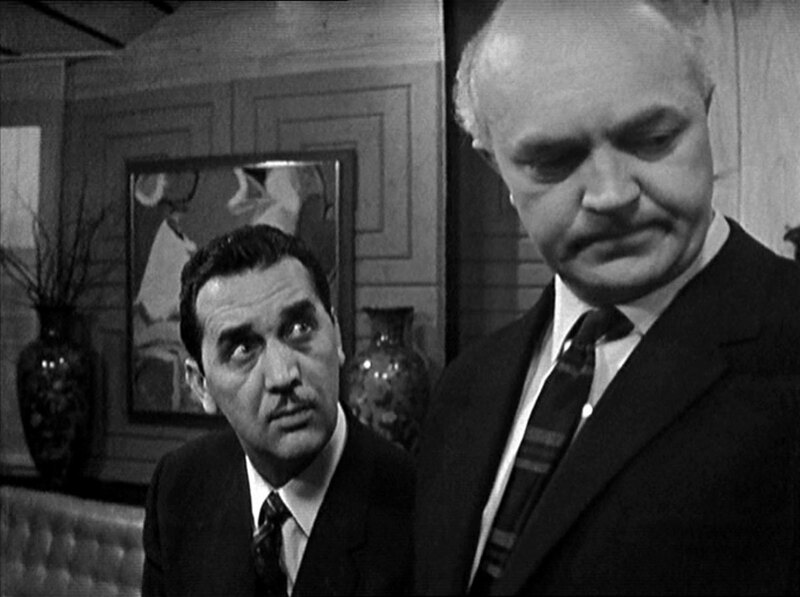 Steed tells Cathy Barker shot out of the Ministry ten minutes after he left and went straight to his brother's apartment - either he sold the secrets or he couldn't keep his mouth shut. 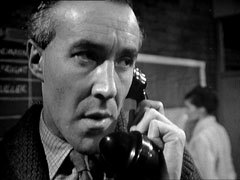 He receives a call - Larson has announced his fake research - Cathy is worried but Steed refuses to believe it's genuine, due to the murders. 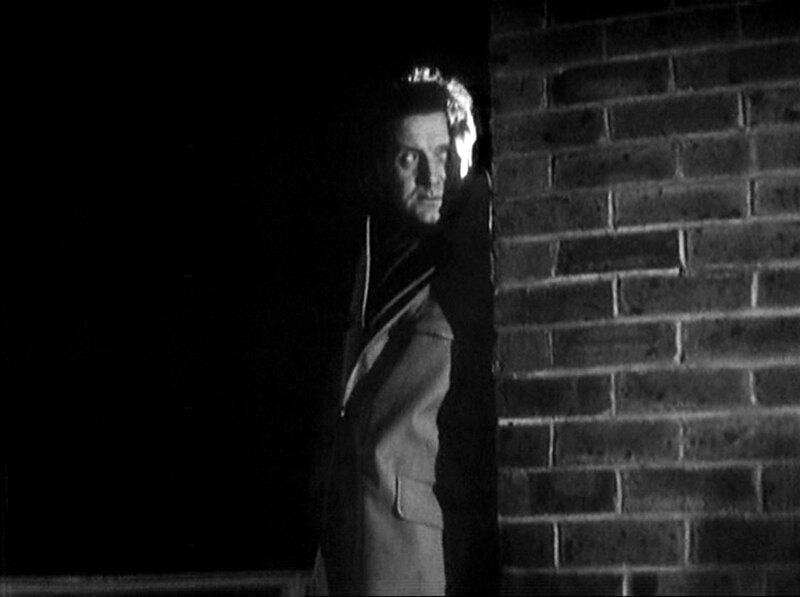 Steed rushes off and breaks into Barker's apartment, finding Johnson's body on the floor. The brother return later and Max appeals to Henry for help, saying Johnson was going to kill Henry. He asks him not to resign as it will expose everything and he agrees, on the condition that Max accompany him to Tor Point. Steed tells Cathy about the body and correctly assumes it's the Johnson with whom Barker had been merging his business. She returns to Cornwall where Luke and Elizabeth are discussing over one of Miss Tregarth's mysterious dinners how they'll spend their remaining months of life before the dwarf destroys Earth. She says she's undecided and tentatively asks what he'd do if there wasn't a dwarf and he takes her hand, saying he'd take a high paying job in America and take her with him. 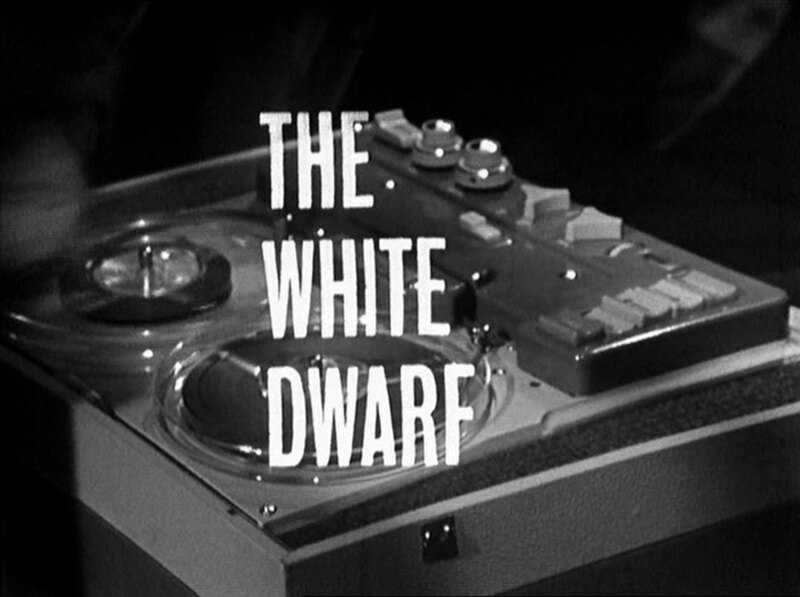 Cathy joins them and Luke accuses her of being a Ministry spy and leaps up, annoyed at the hushing up of his father's death and spills the beans about the dwarf to her, connecting the murders to it despite Fuller's protests. Cathy returns to the observatory, taking Elizabeth's key, and Elizabeth excuses herself to call Cartright to warn him she's on the way and he says he knows how to look after her... Cathy goes up to the telescope when she arrives and switches some of the plates in a box with some from her bag, then runs into Cartright who asks her into his office and tells her he's been told that Luke revealed all. Steed meanwhile arrives at the guest house only to learn the last room has just gone to 'two men from the ministry' and is offered a blanket on the settee, 'after all, it's not the end of the world'. 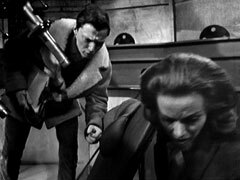 Luke and Fuller arrive at the observatory and she goes to line up the telescope while Luke apologises to Cathy for being so brutal. They're all about to follow Elizabeth up when the doorbell rings and Cartright goes to roll out the carpet to the men from the Ministry, and leads Henry and Max - after a flicker of recognition - up to the dome, where they meet Fuller and Henry takes a peek through the telescope. Luke goes to join them and Cathy follows after unlocking the front door. She arrives just as Cartright is handed one of Cathy's doctored slides by Fuller. He is appalled to see that the dwarf is apparently on course and announces that Richter was right, scaring Max terribly. Steed slips in the front door while Cartright regrets having anything to do with Max in the last months of his life then confesses to the murders of Richter and Rahim for £1,000,000. 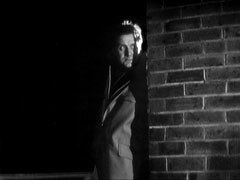 Max draws a revolver and shoots him, then runs as Steed arrives, and they trade shots at each other as they run through the darkened observatory, Max running out of ammunition and being knocked off a ladder by Steed. 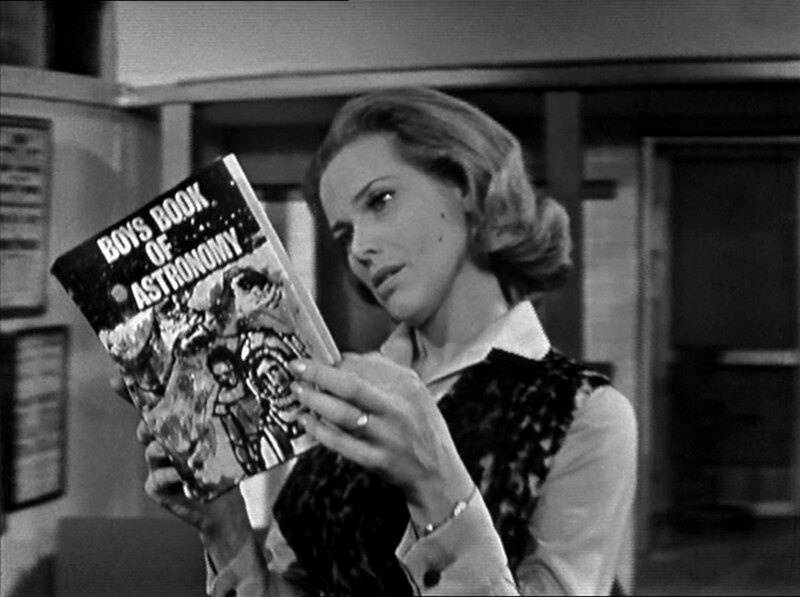 Cathy inspects a consignment of books Steed has just received and discovers they're all about astrology instead of astronomy. He opens one as asks her birth date - 5th October - and he shows her her horoscope for the coming week - it's finally time to break out of her rut and live dangerously!